Carbide Counter Sink Bits are a must in just about any shop. The bits are Carbide Tipped 2 Flute and accept a variety of drill sizes. 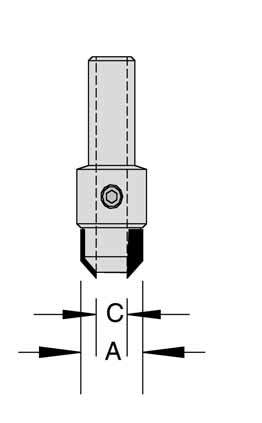 Drills are held in place by a set screw allowing for adjustability of the drill length beyond the Counter Sink Bit. Drills are NOT included with the Counter Sink Bits.